poofylion is creating illustrations and adoptables! Hello and welcome to my patreon you can call me Poofylion or Misha! My favorite thing to do is to make artwork that bring joy to others! I especially enjoy drawing and designing anthro characters, making stories/comics, and bringing other peoples' ideas to life! How do I become a Patron and what do I get? Patreon is one of the ways I can truly dedicate myself art & creating, so every little bit helps! I can give out monthly rewards to those who pledge, including say so in what I draw and art previews. You can view the rewards of each tier to your right and see which one seems right for you if you consider it! Previews & sketch pages of upcoming artwork and adopts! First Dibs on Adopt Batches & Commissions. Any adoptables batches/commission slots posted here are up for grabs exclusively on Patreon! 🍓 15% discount ON ANYTHING. You get a discount on anything you purchase from me! Whether it's adopts, commissions, or whatever! Previews, First Dibs, and Discount! 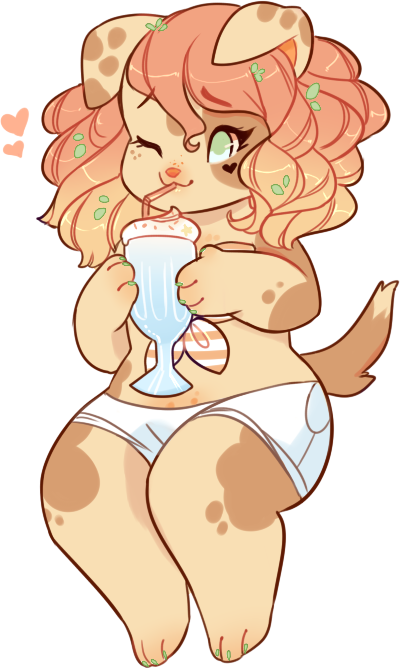 Themed Chibi YCH exclusively for Sundae patrons! Sundae patrons can also vote on a theme for a month. Previews, First Dibs, Discount, and Exclusive YCH! Each month Banana Split patrons get a free headshot commission! EVEN MORE REWARDS! Will add a new tier along with another celebratory stream! I can truly dedicate myself to this and spend more time to create more for you all!